You could however boil it down to this: if you mostly shoot with the screen, you'll be better-off with a mirror-less camera - so long as it's not a Canon EOS M. If however you prefer an optical viewfinder and native compatibility with the biggest lens catalogue from the smallest possible body, then the EOS SL1 / 100D is for you. The Canon EOS Rebel SL1, or 100D as it’s known outside North America, is the company’s latest entry-level DSLR and the smallest and lightest model with an APS-C sensor to date. Announced in March 2013, it’s arguably the successor to the entry-level EOS Rebel T3 / 1100D and undoubtedly produced in response to the growing popularity of mirror-less cameras, even though Canon now has its own mirror-less option in the form of the EOS M.
The EOS SL1 / 100D is styled like a traditional consumer Canon DSLR, but with a body that’s shrunk in every dimension. Impressively though this hasn’t compromised composition, control or connectivity: the EOS SL1 / 100D features a decent-sized 3in touch-screen and optical viewfinder with 95% coverage / 0.87x magnification, along with a sensor to switch the screen off when composing with the viewfinder. Along with excellent touch controls which we saw on the T4i / 650D, there’s also much the same selection of physical controls including a dedicated ISO button. Meanwhile the connectivity includes a remote socket, mini HDMI port and a 3.5mm microphone jack. Under the hood, the EOS SL1 / 100D sticks with the same 18 Megapixel resolution which Canon has deployed for APS-C models for some time now, but with a new sensor featuring an updated hybrid AF system. Like the EOS T4i / 650D and EOS M before it, this uses phase-detect AF points to assist focusing in Live View and movies, but now covers 80% of the frame. Other core specifications include 4fps continuous shooting and Full HD 1080p video at 24, 25 and 30p, but there’s no built-in Wifi or GPS. Could the EOS SL1 / 100D make entry-level DSLRs fashionable again, or have mirror-less cameras got this end of the market tied-up? Read my in-depth review to find out! The headline specification of the EOS SL1 / 100D is of course its diminutive size. Measuring 117x91x69.4mm and weighing 407g including battery (but no lens), it’s comfortably smaller and lighter than any APS-C DSLR to date. To put it in perspective, the earlier entry-level EOS T3 / 1100D measured 130x100x77.9mm and weighed 495g including battery, while the EOS T5i / 700D announced at the same time as the SL1 / 100D measures 133x100x78.8 and weighs 580g with battery. So the SL1 / 100D is about one centimeter smaller in every dimension than the smallest of previous Canon consumer DSLRs and at least 88g lighter. Meanwhile Nikon’s entry-level DSLR, the D3200, measures 125x96x76.5mm, so is 8mm wider, 5mm taller and 7mm thicker, not to mention almost 100g heavier at 505g including battery. So the EOS SL1 / 100D represents an impressive engineering effort on the part of Canon especially considering the surprisingly uncompromised usability and handling. The increasing popularity of mirror-less cameras is undoubtedly behind the drive to create a smaller DSLR, so a more important comparison is how close the EOS SL1 / 100D is to popular mirror-less options. Panasonic’s Lumix G6 is a fair choice as it’s a DSLR-styled model with a built-in viewfinder, albeit electronic. The G6 measures 122x85x71mm and weighs 390g with the battery which makes it much the same thickness as the tiny Canon, but 5mm wide, 6mm shorter and a few negligible grams lighter. I should however note much of the G6’s thickness is actually down to the protruding viewfinder unit; the actual body is noticeably thinner and the absence of a mirror within allows it to accommodate an articulated screen whereas the Canon’s is fixed in place. Obviously if you’re willing to sacrifice a built-in viewfinder there are smaller mirror-less options available, but it’s impressive to find the EOS SL1 / 100D come close to the measurements of the Lumix G6. Of course the body size is only one half of the story. The lens plays a big role, so it’s important to also take this into consideration when looking at overall portability. Canon introduced a new kit lens for the EOS SL1 / 100D, the EF-S 18-55mm IS STM. I’ll discuss the coverage, stabilization, focusing and quality later in the review, but for now will concentrate on the dimensions: 69mm in diameter, 75mm in length and 205g in weight. This brings the EOS SL1 / 100D kit to 144.4mm in thickness and 612g in weight. Compare this to the Lumix G6 14-42mm (28-84mm equivalent) kit which measures 120mm in thickness and 500g in weight. So while the EOS SL1 / 100D body is certainly very small, almost any mirror-less camera will be smaller still once you add a lens. It’s also interesting to see how Canon has driven the size of the EOS SL1 / 100D down, but actually produced a kit lens that’s longer than before. Indeed it’s worth noting Panasonic’s recent 10x zoom, the 14-140mm (28-280mm equivalent), measures 67mm in diameter, 75mm in length and 265g in weight, which makes it virtually the same size as the 3x Canon kit lens and only 60g heavier. So if you’re comparing kits, a Lumix G6 with a 10x zoom would be roughly the same size and weight as an EOS SL1 / 100D with a 3x zoom. Despite the reduction in size and weight, the EOS SL1 / 100D still feels like a solid camera with similar construction and toughness to Canon’s other consumer DSLRs. The body is built from aluminium alloy and polycarbonate resin with carbon and glass fiber. The grip is squashed down compared to earlier Canon DSLRs with a repositioned shutter release as a result, and only a small gap between the grip and lens mount for your fingertips. A generous ridge on the rear provides decent purchase for your thumb though and allows you to grip the camera reasonably securely, although I still felt better using it with two hands. The modest grip with a minimal gap for finger tips does however mean that there could be small gaps between the camera’s shell and your upper palm – it’s hard to completely wrap your hand around the camera with no spaces, especially if you have larger hands. I shot with the EOS SL1 / 100D side by side with the Lumix G6 and the earlier G3 and found both those models more comfortable to hold. While the G3 and G6 actually have quite different grips to each other, the thing which really helped was a bigger gap for your fingertips, allowing them to spread out if necessary to allow the camera’s shell to press against your palm. On the upside, the repositioned shutter release on the EOS SL1 / 100D is ideally placed for your index finger to rest atop the upper surface – Canon’s thought through the ergonomics in that regard. Ultimately the EOS SL1 / 100D is a small DSLR, so it’ll never feel as comfortable in your hands as larger models – and this particularly applies to those with bigger hands. What is interesting though is some mirror-less cameras despite having similar or smaller dimensions may feel more comfortable because of smaller or repositioned lens mounts. The bottom line is I found the EOS SL1 / 100D perfectly usable, but I do have smaller hands – if you’re concerned, I’d recommend picking one up in person. Some of the shrinkage is down to the EOS SL1 / 100D employing the same LP-E12 battery pack as the EOS M, and accommodating the SD memory card slot in the same compartment as opposed to in its own on the side of the body – preventing the changing of cards when mounted on most tripods. The smaller battery understandably also results in reduced life of 380 shots compared to, say, 440 on the EOS T5i / 700D; that’s not a huge difference, but it is gradually eeking away at the maximum, and this is through the viewfinder, not with Live View. You may be interested to learn the Panasonic G6 squeezes 340 shots per charge and it’s a 100% Live View system. Note like most entry-level bodies, there’s no optional battery grip for the SL1 / 100D, but then there isn’t for most mirror-less cameras either. I’m pleased to say there’s still a popup flash built-into the body, albeit with a fairly modest Guide Number of 9.4 at 100 ISO – that’s roughly the same as the EOS T3 / 1100D, but below the 13 of the EOS T5i / 700D. Unlike higher-end models in the range you can’t use the EOS SL1 / 100D’s built-in flash as a wireless controller, but that’s unlikely to bother the target audience. The SL1 / 100D also flickers its flash for AF assistance in the Auto modes, but if you find this off-putting you can disable it from one of the Custom Function menus. Note the Panasonic G6 has a Guide Number of 10.5, but a slightly higher base sensitivity of 160 ISO. I’m also pleased to report the connectivity hasn’t been compromised with the EOS SL1 / 100D offering a combined USB / TV output, mini HDMI port, remote socket for the optional RS-60E3 (as well as an IR sensor on the grip for the optional RC-6) and a 3.5mm external microphone jack. It would have been easy for Canon to remove the microphone input using the size and entry-level status as an excuse so it’s nice to find it present and correct. As well as the wired and wireless remote accessories, you can also trigger the camera using the USB cable and the supplied EOS Utility which runs on Windows and MacOS systems, although sadly not any mobile devices yet. In a missed opportunity though the EOS SL1 / 100D does not feature built-in Wifi or GPS, nor any bolt-on accessories to provide them either. I realize many people aren’t interested in wireless connectivity, but as demonstrated by the EOS 6D, Wifi allows you to use a compatible iOS or Android smartphone as a very capable wireless remote control with Live View and that’s something everyone could find useful. Meanwhile GPS is great for tagging images with location information, and remember both can be turned off if you’re worried about battery life. Considering Wifi and GPS along with countless other radios are packed into even budget smartphones, the technology is available at a low price and the plastic shells of consumer cameras present no barrier to the signals. This is an area where Panasonic looks like taking the lead over rivals, equipping all of its latest mirror-less cameras, not to mention many compacts, with built-in Wifi and more recently, Near Field Communications or NFC for short. The Lumix GH3, GF6 and G6 all sport Wifi, which the GF6 and G6 additionally complement with NFC. Wifi on the Lumix G cameras lets you wirelessly browse, transfer, share or backup photos along with offering remote control via a free app for iOS and Android devices; the app can also use the GPS facilities of your phone to later tag images. Meanwhile NFC can take care of the initial Wifi network and password details on compatible devices including Samsung Galaxy S3, S4 and Google NEXUS 4, 7 and 10. I’ve gone into more detail on my reviews of each camera, but by integrating wireless communications on most of its new cameras, Panasonic is making companies like Canon and Nikon look quite old fashioned in comparison. Note: the EOS SL1 / 100D is compatible with Eye-Fi cards, but these can only officially be used for image transfer. In terms of controls, the EOS SL1 / 100D comes across as a slightly simplified version of the T3 / 1100D, but it’s still recognizably a Canon layout and will be immediately familiar to anyone who’s used an EOS DSLR. On the top surface is a the satisfyingly chunky main mode dial with PASM, Green Square Auto+, Flash Off, Creative Auto, direct access to four presets and the SCN position proving on-screen access to six more. I’ll describe these in more detail later. Surrounding the mode dial is an equally chunky switch which powers the camera on and off or sets it into Movie mode. To the front of the mode dial is a dedicated ISO button, alongside a finger wheel and the shutter release. Round the back, the Menu and Info buttons are to the left of the viewfinder, and the Live View / Movie record button to the right. In the upper right corner are the usual pair of AF Point selection and AE lock buttons which double-up as zoom-in and zoom-out during playback or Live View; due to the smaller body these are positioned vertically though, not side-by-side. The cross-keys are surrounded by buttons for exposure compensation, play and delete, with a Q / SET button in the middle. To simplify the appearance, the cross keys do not offer a second function, such as direct access to the white balance or drive mode. In this respect the SL1 / 100D is a departure from earlier EOS DSLRs including the T3 / 1100D, and more like Nikon’s approach for its entry-level DSLRs. As such if you want to adjust the drive mode, white balance or pretty much anything other than exposure or ISO, you’ll need to do it through the on-screen Q-menu interface. I should also mention the camera still has an optical depth-of-field preview button by the lens mount, continuing this tradition on Canon DSLRs which Nikon abandoned on lower-end models some time ago. By default the EOS SL1 / 100D displays its most common shooting information on the main screen which then switches off automatically when you bring your eye to the viewfinder. Pressing the Q button highlights one of the settings which you can then move around using the cross keys. When the desired option is highlighted you can either turn the finger dial to adjust it directly, or press the Q button again to enter a dedicated menu for it. This works well, but you can alternatively perform the entire process by touch if preferred. Rather than pressing the Q button, you can tap the Q square in the lower left corner of the screen after which you can simply tap on the desired setting to bring up a dedicated menu before then tapping on the mode or dragging sliders as required; you can even do this to adjust the shutter speed and aperture. During Live View you can also tap to set the AF area and if enabled, tap to focus and take a shot. You can also use the screen to adjust the position of things like the strip of focus in the miniature mode. During playback you can swipe through images and pinch to zoom, including zooming-out to thumbnail views, which is something Panasonic still forces a physical turn of a dial to achieve. This functionality so far is similar to other cameras with touch-screens, but where Canon takes a lead is allowing you to navigate the main menu system by touch as well. This is something most manufacturers including Panasonic avoid. At first the tiny icons for each menu page look too small to successfully navigate by touch, but it actually works really well. I’m also relieved you can use the touch-interface to enter text for the copyright and author details, something other manufacturers still force you to do with the cross keys. In short you can pretty much configure and control the entire camera by the touchscreen if desired, and it feels very responsive in use. Alternatively if you don’t like touch-screen interfaces you can ignore it entirely and use the physical controls instead. For a company which only recently started deploying touch-screens on higher-end cameras, Canon has really nailed it. It’s revealing that Panasonic’s own touch-screen interfaces feel a bit limited by comparison. Like all EOS DSLRs, the SL1 / 100D is also supplied with the free EOS Utility, which supports full remote control of the camera using a PC or Mac, although I’m still disappointed not to find it natively running on iOS or Android devices yet. To be fair Canon has developed a mobile remote control app, but it only works on the models which come with built-in Wifi or which support an official Canon Wifi accessory, neither of which apply to the SL1 / 100D. The EOS Utility looks much the same as before, allowing you to adjust virtually any setting apart from changing exposure mode. As before you can fire-up a Live View window with a high resolution live image, remote focus, take photos and have them recorded to the computer, camera or both, or trigger movie recording, although videos are still only recorded to the internal memory card. You can also set up an interval timer, which goes some way to compensate for one not being built-into the camera. In Live View Shooting you can load an optional overlay image for lining up compositions, but sadly the dual-axis virtual leveling guide last seen on the EOS 5D Mark III isn’t available here. Overall, the free EOS Utility remains a highlight of buying a Canon DSLR, but please guys, either write a mobile version or build Wifi into every model so we can use our phones and tablets to remote control our cameras, thanks. As a proper EOS DSLR, the SL1 / 100D features a standard EF lens mount with native compatibility with the entire Canon EF lens catalogue, including EF-S models designed for the smaller APS-C sensor. This is the key benefit of the EOS SL1 / 100D over mirror-less models including Canon’s own EOS-M – access to over 80 lenses from the enormous Canon catalogue without the need for an adapter or compromised AF performance, at least when composing through the optical viewfinder anyway. With an APS-C sensor, the effective field of view of all lenses is reduced by 1.6 times, so a standard 18-55mm kit zoom would deliver a field of view equivalent to 29-88mm on a full-frame DSLR. The EOS SL1 / 100D was announced alongside a new kit lens, the EF-S 18-55mm f3.5-5.6 IS STM. 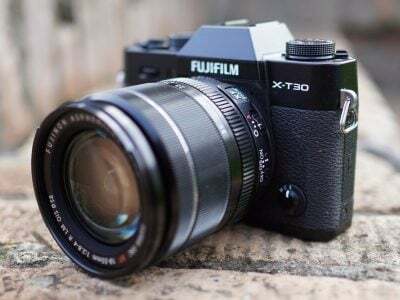 The focal length and focal ratio remain the same as the previous kit lens, as does the presence of optical Image Stabilisation, but the new feature here is Stepper Motor focusing, or STM for short. Like the EF-S 18-135mm STM and EF 40mm f2.8 STM before it, this allows the new kit lens to focus more quickly and quietly while shooting movies. As it’s an internal focusing system, it also has the additional benefit of not rotating the front section of the lens when focusing either. This is a big improvement over the earlier kit lens for owners of polarizing filters, and also allows it to use a more effective petal-style lens hood, although as usual, Canon forces you to buy this as an optional accessory. I’ll discuss the AF performance later in the review, but for now I can happily tell you the EF-S 18-55mm IS STM is eerily quiet when focusing and a huge upgrade over the previous Canon kit lenses in this regard. Shrinking camera bodies normally come at the cost of compromised composition, but Canon cleverly understands this is a very important specification and the SL1 / 100D impressively shares similar characteristics to a larger model. There’s an optical viewfinder with 95% coverage and 0.87x magnification, which interestingly is actually a fraction larger than that on the EOS T5i / 700D. The presence of an optical viewfinder will be the SL1 / 100D’s key selling point over a mirror-less camera, and there’s pros and cons to weigh-up. On the upside, an optical viewfinder doesn’t suffer from any lag, noise, limited dynamic range or other visibility issues when composing in very low light or panning with fast action. On the downside, the apparent size of the image through the SL1 / 100D’s viewfinder is noticeably smaller than most decent EVFs (such as on the Lumix G6) and doesn’t share their 100% coverage, nor their ability to provide on-demand grids, live histograms, previews of white balance or effects, nor magnified focusing assistance either. I’m not going to say that one viewfinder technology is better than the other as both have their pros and cons, but for traditionalists, an optical viewfinder will always be preferred and they’ll welcome it in such a small body. And remember if you do want 100% coverage with guides and graphics, you can always compose in Live View with the screen. The size of the SL1 / 100D means the viewfinder is bunched right against the top of the screen, but impressively Canon has managed to squeeze a sensor above the viewfinder to switch the screen off when composing with the viewfinder. A classy touch it could have easily neglected. The screen measures 3in with 1040k dots in a 3:2 aspect ratio which matches the shape of images – so unlike Nikon DSLRs, they’ll fill the screen during playback and Live View. The screen is also touch-sensitive allowing you to tap to focus and also control a capable user interface which was previously seen on the EOS T4i / 650D. Unlike many other touch-screen interfaces which still rely on some key presses, the SL1 / 100D’s menus, settings and playback can be pretty much entirely controlled by touch if desired. This works really well and it’s impressive to see Canon take a lead over Panasonic in terms of total touch control. What the screen won’t do though is flip-out – it’s firmly fixed in position. This is a major difference between it and the thicker EOS T5i / 700D which like the EOS T4i / 650D before it features a fully-articulated screen. There’s just no room to accommodate a flip-out screen and a reflex mirror in a body as thin as the EOS SL1 / 100D. But it is important to remember models like the Panasonic G6 don’t have mirrors to worry about, so can squeeze a fully-articulated screen into a body that’s actually a little thinner (excluding the viewfinder protrusion). I should say I’ve become so used to having an articulated screen that I missed it on the SL1 / 100D, but it is another personal choice. The EOS SL1 / 100D shares the same 9-point AF system with a single cross type sensor as the EOS T3 / 1100D before it. This is a modest but predictable specification for an entry-level DSLR, but in more exciting news the camera features Canon’s latest hybrid AF system for Live View and movie shooting. Like the original version debuted on the EOS T4i / 650D and EOS M, this employs an array of phase-detect AF points on the main imaging sensor itself to assist with autofocus during Live View and movies – the idea is these points determine the initial direction of the focus before a contrast-based system takes over to fine tune. On the EOS SL1 / 100D, the phase detect AF points now cover a broader area of the sensor measuring 80%, allowing AF assistance closer to the edges and corners than before. This is a useful improvement over earlier models – and surprisingly over the EOS T5i / 700D which strangely employs the version 1 hybrid AF system. So how does it all perform in practice? Starting with the viewfinder, the main 9-point AF system felt pretty snappy in use, locking-onto targets using the new kit lens swiftly and without any issues. I’d say it was as fast as the contrast based Live View AF on the best mirror-less cameras, which is to say, fast enough for most uses. In very low light levels it becomes less confident though, with Canon quoting a lowest operating level of -0.5 EV making it less sensitive than the Panasonic Lumix G6 which boasts -3 EV. That said, the SL1 / 100D can flicker its flash for AF assistance which allows it to successfully focus onto nearby subjects in virtual darkness, although the actual strobing can be quite alarming to some. Switching to Live View, you have the choice of four AF modes: Face Detection with tracking, Flexizone – Multi AF, Flexizone – Single AF and Quick Mode. Face Detection is the default option and will attempt to recognize a human subject before tracking them across the frame; if there’s more than one detected you can tap the desired person to select them. If there’s no people detected, the camera will fall back onto Flexizone – Multi AF. Flexizone – Multi AF employs 31 AF areas spread over the same shape covered by the hybrid AF system, that is to say almost the entire frame bar thin strips around the edges and small rectangles cut from each corner. In this mode the camera automatically chooses how many AF areas to use, but by pressing the Delete button you can toggle into a Zone mode which reduces the active area and lets you choose between nine of them. Like other zoning systems, this still allows the camera to choose the AF point, but from a smaller area concentrated, say, to the side or top. This is great for ensuring the camera is concentrating on the correct part of the frame. On the SL1 / 100D, these smaller zoned areas contain either eight or nine AF areas and overlap a little. The Flexizone – Single AF mode lets you manually choose where to place the active AF area almost anywhere on the screen, bar thin strips around the edges; you can position the AF area using the cross keys or simply by tapping, and if touch shutter is enabled, your tap can also take the picture. At any time you can press the magnify button for a closer look at either five or ten times, the latter roughly – but not exactly – corresponding to a 1:1 / 100% view. What you can’t seem to do though is change the size of the AF area for more precise focus placement, which puts it behind models like the Panasonic Lumix G6 which offers three different AF area sizes. In use I certainly felt I could position the smallest AF area more precisely with the Lumix G6, say over someone’s eye, whereas on the EOS SL1 / 100D the larger AF area could often cover a range of distances. Finally, the Quick Mode, inherited from earlier Canon Live View modes momentarily flips down the mirror to take a reading using the traditional viewfinder-based AF system, before returning to Live View. In all but the Quick Mode the SL1 / 100D can also deploy its continuous AF option, which is enabled by default. This isn’t for tracking per-se, but to begin the focusing process before you half or full press the shutter release button. Like other cameras with a similar feature, this can be quite effective and generally speaking the camera will already have locked-onto the subject during composition, making the final AF process much faster. The Live View modes can also display an optional live histogram and or the choice of two different grids for alignment, although sadly no leveling gauge, unlike the Lumix G6. In terms of speed, Live View AF on the EOS SL1 / 100D felt a little quicker than previous Canon DSLRs, not to mention Canon’s own EOS M, but remained noticeably slower than its viewfinder AF system along with the fastest mirror-less models, such as those from Olympus, Panasonic and Sony. For all the hype over the hybrid AF system, I also found the SL1 / 100D would search back and forth as much in Live View as a 100% contrast-based system such as those on the Olympus and Panasonic mirror-less cameras. It’s also worth noting the SL1 / 100D’s AF system in Live View requires brighter conditions than the main viewfinder based system, so instead of working down to -0.5 EV, it operates at a minimum of 1 EV. Again compare that to the -3 EV of the Lumix G6 which is a 100% Live View system. Of course it’s important to put all this into perspective and to consider how often you’ll be using Live View on the SL1 / 100D and for what kind of subjects. If you’ll rarely use Live View or only use it for mostly static subjects which aren’t going anywhere, such as landscapes or buildings, then the SL1 / 100D’s Live View will be fine. If you’re photographing people or moving subjects on the SL1 / 100D I’d recommend using the viewfinder. If however you intend to mostly shoot with the screen and want to quickly acquire focus on mostly static subjects, then I’d definitely recommend a mirror-less system from the likes of Olympus, Panasonic or Sony. If you want to compose with the screen and focus on moving subjects, then I’d go for a Nikon 1 mirror-less system or a Sony SLT system. The fact is, while Canon has improved the AF performance of its Live View system, the experience from the SL1 / 100D remains below that of a dedicated mirror-less system, or at least a mirror-less system that’s not from Canon. Once again if you prefer composing with the screen for general use, I’d discourage you from buying a DSLR. One final note on the new EF-S 18-55mm IS STM kit lens. The Stepper Motor employed by this and other STM lenses is incredibly quiet in operation and more than once I had to check if AF was actually switched on. This is a huge benefit for movies and in stark contrast to the earlier EF-S 18-55mm IS kit lens which buzzed quite audibly through every AF operation. I’d also say the new kit lens feels faster at focusing than before, and when using the viewfinder it could be as quick as the best USM models. And while the Live View AF was slower than the viewfinder, it was nice not to be reminded by a noisy AF motor. Again to be fair it’s only now in-line with the speed and noise of native lenses for mirror-less systems, but I’m not going to let that diminish the joy of finally banishing that horrible noisy kit lens to history. The EOS SL1 / 100D is equipped with a satisfyingly chunky mode dial letting you choose from the PASM, Green Square Auto+, Flash Off, Creative Auto, direct access to four presets and the SCN position proving on-screen access to six more. The shutter speeds range from 1/4000 to 30 seconds plus Bulb in manual, while the maximum flash sync speed is 1/200. There’s exposure compensation in a fairly broad range from +5 to -5, but just the usual basic auto exposure bracketing of three frames in a range of +/-2EV. In one respect this is better than the entry-level Nikon D3200 which unforgiveable has no auto exposure bracketing at all, but on the other hand it’s basic compared to the 3, 5 or 7 frame auto exposure bracketing of the Lumix G6 across a range of +/-3EV. As usual the Green Square Auto+ mode can take care of everything for you, and if deployed in Live View can also employ more sophisticated scene detection. Meanwhile the Creative Auto, or CA mode for short, provides beginner-friendly control over depth-of-field with a touch-sensitive ‘background blur’ slider. Set the dial to SCN and you can choose from six scene presets: Kids, Food, Candlelight, Night Portrait, Handheld Night Scene and HDR Backlight Control. 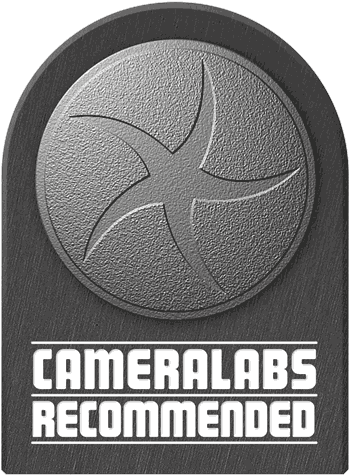 Of these the last two are composite modes which automatically capture and combine multiple frames to reduce shake / noise or increase dynamic range. Handheld Night Scene takes four shots in quick succession and automatically combines them to reduce camera shake along with visible noise. It’s quite effective in practice and you can see an example in my Canon EOS SL1 / 100D noise page, although it only operates with Auto ISO. That said, those who desire more control can deploy the Multi-Shot Noise Reduction option in the High ISO Noise Reduction menu, which again fires-off and combines four shots to reduce noise at your chosen sensitivity. You can see a full set of results using this mode compare do single frames in my Canon EOS SL1 / 100D Multi-Shot Noise Reduction page. HDR Backlight Control captures three shots at different exposures and combines them automatically into one to extend the dynamic range; again the sensitivity is Auto, and there’s no control over tone-mapping either. Here’s an example I took inside a church where the interior was dim, but the windows strongly backlit. It’s clear to see how the dark shadow areas have been boosted on the HDR version, especially in the wooden seating – confirmed in the histogram below it. It’s hard to see in the reduced images below, but there’s also quite a lot of highlight detail recovered in the stained glass windows on the HDR version that was lost on the single exposure. So overall the HDR Backlight Control feature has worked well here. In Live View you can now apply the same seven Creative Filter which on previous models could only be applied during playback. You have the choice of Grainy Black and White, Soft Focus, Fish Eye, Art Bold, Water Painting, Toy Camera and Miniature. For all but the Miniature mode you can press the Info button to choose from three levels of intensity. In the Miniature mode you can swap the orientation and the position of the strip of focus, the latter with either the cross keys or touch-screen. You can also apply the Miniature effect during the movie mode, but none of the other filters. Below are four examples of the Creative Filters at their default settings. What you still won’t find on a Canon DSLR is an auto-panorama mode. Yes there is software supplied which helps you stitch multiple images together, but it’s nothing like the convenience pioneered by Sony on its Sweep Panorama, which generates in-camera panoramas with nothing more complex than panning the camera around, and which is now copied by many others including Panasonic with the Lumix G6. C’mon Canon, sort it out. The EOS SL1 / 100D unsurprisingly inherits the same core movie capabilities deployed on most recent EOS DSLRs, albeit without the choice of compression of higher-end models. As such you can film 1080p at 24, 25 or 30fps, 720p at 50 or 60fps, or VGA at 25 or 30fps. The maximum duration is 29 minutes and 59 seconds with a maximum file size of 4GB. You’re looking at about 330MB per minute in any of the HD movie modes, with the 720 option consuming the same as the 1080 due to its higher frame rates; so that 4GB file limit will actually be reached after approximately 12 minutes, regardless of the HD quality setting. Once the file exceeds 4GB, another file is automatically created without interrupting the recording. A fully charged battery should be good for about one hour’s of shooting. Set the camera to any exposure mode other than M and the exposure is fully automatic, with the shutter speed, aperture and sensitivity set for you, the latter in a range between 100 and 6400 ISO. If the exposure mode is set to Green Square, Creative Auto or any of the scene presets, the movie mode will employ scene detection to adjust its exposure accordingly. If the mode is set to Program, Aperture Priority or Shutter Priority, the metering is more basic, but you can lock the exposure or apply exposure compensation if desired. If you prefer full manual control, turn the mode dial to M after which you’ll be able to manually set the aperture, shutter speed or ISO sensitivity. All bases are covered. Audio is captured by a built-in microphone in mono or via the 3.5mm external microphone jack in stereo. There’s no headphone jack, but you can at least monitor the recording levels with graphic meters and adjust the gain manually if desired. The EOS SL1 / 100D offers continuous autofocusing for movies when the Movie Servo AF mode is enabled. Like most cameras, the SL1 / 100D appears to check the focus of the AF area at regular intervals and adjust the focus if required. You can also tap to refocus on a different area if desired. The EOS SL1 / 100D employs its hybrid AF system which uses a combination of phase-detect AF points on the sensor to make the initial decisions before then using a contrast-based system to finally nail the focus. In theory this should provide more confident AF than a 100% contrast based system. The degree of success depends on how quickly you or the subject moves. Move too fast and the camera will rarely keep up, but keep movements small or slow and the AF system will give the illusion of tracking the subject reasonably well. In my tests there was a little visible searching depending on the subject and lighting, but nothing too dramatic. If you’re using a lens with Stepper Motor (STM) focusing, such as the new kit lens, the process will also be almost silent. Where Servo AF works best though is when ‘pulling focus’ between static objects at different distances. Just tap each of them in turn and watch the camera refocus between them. When fitted with an STM lens like the kit lens, the process is satisfyingly smooth, quiet and pretty confident. You can see an example of this in a moment. You can take still photos while filming a movie, although the video will show a blank portion for about a second so it’s only really something you’d do if you really wanted a photo over the video footage. Stills are also captured in the same aspect ratio as the video, so for HD, the stills will be in 16:9. You can also record video with a miniature ‘diorama’ effect applied. As with stills, you can adjust the position of the strip of sharp focus and also its orientation. You can also choose the playback speed from 5x, 10x or 20x, so if you recorded for, say, one minutes, your final movie would last around 12, six or three seconds. Finally, the EOS SL1 / 100D offers Canon’s Movie Snapshot mode which grabs a short clip lasting two, four or eight seconds. When you film a second clip, it’s appended to the first, and so-on, allowing you to gradually build-up a movie. It sounds like a novelty, but can be instructive in being economical with your footage when filming a sequence, so anyone who hates editing or can’t bear to cut their work should check it out. Let’s just say all future holiday videos should be filmed in this mode if you intend to show them outside your own family. All of the clips I’m sharing here were filmed in 1080/30p using the new EF-S 18-55mm IS STM kit lens and I’ll start with a handheld pan in bright outdoor conditions at 100 ISO. The movie mode on the SL1 / 100D will be familiar to anyone who’s used a Canon DSLR before and like earlier models the quality is very good. The new kit lens here has ironed-out any potential wobbles with its image stabilization, although any attempt to zoom will be jerky compared to a camera with a motorized lens – which sadly excludes every single option in the current EF lens catalogue. In the second clip I mounted the camera on a tripod and moved indoors to a dimmer environment. This time I set the camera to Auto+ which selected a sensitivity of 800 ISO. The increased sensitivity has resulted in a little more noise, but the quality remains very respectable. The interesting thing here is I repeated the clip moments later in Manual mode with the same settings and found the result to be dimmer. It turns out Auto+ was employing a low light scene preset which boosted the shadow areas, and to my eyes it looks better too. Pros will love the fact you can wrangle full manual exposure control from the camera, but casual filmers will appreciate the consumer-friendly results from Auto+. The big new feature of the SL1 / 100D is its enhanced hybrid AF system which promises more confident continuous AF for movies across a broader portion of the frame. Coupled with the much quieter focusing on the new EF-S 18-55mm IS STM lens and the tiny Canon should deliver a much better movie experience. And you know what, it does. In this clip I moved the camera around the coffee cup at different distances and the SL1 / 100D does a fair job at keeping it in focus. Yes there’s a brief pause while it catches up, but this is no worse than any other camera, including mirror-less models, and while the environment was far from quiet let me assure you the new kit lens is virtually silent. I have another example just below. In the fourth example I locked the camera down on a tripod, zoomed the kit lens in a little and used the touch-screen to pull-focus between the near and distant coffee cup. The EOS SL1 / 100D manages this without breaking a sweat and with only the slightest searching, and once again the kit lens AF is incredibly quiet, especially compared to the earlier kit lens which buzzed its way through every focusing operation. While we’ve seen similar focus-pulling capabilities from decent mirror-less cameras before, this is the first time it’s really come together on a traditional DLSR. Thanks to the hybrid AF system, excellent touch-screen interface and new quiet kit lens, this kind of capability is well within the reach of the EOS SL1 / 100D. It’s a big step-forward for a DSLR. In the fifth example I tried out the SL1 / 100D’s Miniature mode which applies a digital tilt-shift effect to the scene while speeding up the footage by 5, 10 or 20x. The camera also allows you to reposition the strip of focus (by dragging it if you like) and change its orientation if desired. 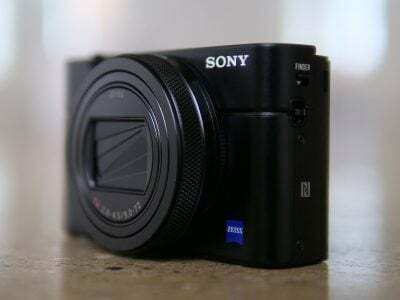 I’d say this is as good as any miniature mode on other cameras and a powerful addition to the SL1 / 100D’s capabilities. I liked using the miniature mode so much, here’s another example, again at the 10x normal speed. The composition is not typicalÂ for this effect, but I think it works reasonably well! So overall, the movie capabilities of the EOS SL1 / 100D are very capable, and a step-up from earlier Canon DSLRs in terms of consumer features and ease of use. Once again the hybrid AF system, touch-screen, powerful Auto+ exposure, miniature mode and quiet kit lens all add up to a camera that’s as confident at filming movies for consumers as any mirror-less model and that’s saying something. Nice work Canon. The EOS SL1 / 100D offers continuous shooting at 4fps with a quoted buffer of approximately 28 JPEGs or seven RAW files. This is faster than the 3fps JPEG speed quoted for the EOS T3 / 1100D which actually came out at 2.8fps in my tests. Also note the EOS T3 / 1100D actually slowed-down further when shooting RAW to 2fps, so in this respect, the quoted speed of the SL1 / 100D is much more useful. To put it to the test I fitted the EOS SL1 / 100D with a freshly formatted SanDisk Extreme 16GB UHS Class 1 SD card, set the shutter speed to 1/500, the sensitivity to 400 ISO and fired-off a selection of bursts with different quality settings. Note for my first tests I used the default processing settings, so Auto Lighting Optimiser was set to Standard and Peripheral Illumination Correction was enabled, but Chromatic Aberration Correction was disabled. With the EOS SL1 / 100D set to Large Fine JPEG, I fired-off 36 shots in 8.7 seconds, corresponding to a speed of 4.1fps; the buffer took four seconds to completely clear. Switching to RAW, I managed seven shots in 1.49 seconds, corresponding to a speed of 4.7fps; this time the buffer took six seconds to completely clear. Finally setting the camera to RAW plus Large Fine JPEG saw the camera capture four shots in 0.98 seconds, corresponding to a rate of 4.1fps, while the buffer took five seconds to completely clear. So the EOS SL1 / 100D delivered its quoted speed of 4fps (or slightly quicker) in all image quality modes. It also performed as quoted for capturing seven RAW files, but exceeded the quoted buffer for JPEGs. Once the buffer was full in any of the modes it only took a few seconds to completely flush it using an UHS-1 card, during which time you could fire-off smaller bursts. Beware of enabling Chromatic Aberration correction though as this reduced the Large JPEG buffer to just four frames, albeit at the same speed as before. So I’d recommend disabling this mode when shooting bursts – which explains why it’s disabled by default. Nikon’s entry-level D3200 also offers 4fps shooting, confirmed in my tests, but for longer bursts of up to 100 JPEGs or 14 RAW files making the Canon buffer look a little mean, especially when you consider the Nikon is shifting 24 Megapixels versus 18 on the SL1 / 100D. It’s also important to see how mirror-less models compare. Most models offer a variety of shooting modes, some with a live update on the screen, others sacrificing a live update for faster bursts. Panasonic’s Lumix G6 offers 4fps with Live View and continuous AF, 7fps with the focus locked, or a high-speed 40fps mode for very short bursts. The burst sizes at up to 7fps have no limit for JPEGs or nine RAW files. While a DSLR optical viewfinder is preferred for following moving action, the speed of the EOS SL1 / 100D, not to mention its buffer size remain modest in modern camera terms. Canon strongly believes in limiting the continuous shooting capabilities of its cameras depending on their category, but this allows rivals to jump in and offer faster speeds at the same price points. Sony in particular has long-offered fast burst modes on its mirror-less and SLT cameras, and you’ll also enjoy decent speeds from Panasonic and Olympus mirror-less models. So the bottom line is even though the SL1 / 100D performed as quoted, it’s still fairly modest in continuous shooting speed, so if you’re really into action photography you’ll be better off with a different camera. Finally, the EOS SL1 / 100D offers two ‘silent’ options for single and continuous shooting. These essentially slow down the process following the shutter closing after an exposure where the mirror drops back and the system resets for another shot. So rather than a quick, sharp, single chunk sound, you’ll hear a slightly quieter – but by no means silent – ker-chunk sound, as if the mechanical process has been split in two. This understandably slows down the continuous shooting speed with the rate falling to about 2fps. Both the single and continuous silent modes are certainly quieter than their normal counterparts, but again not by a huge degree – that said they may still draw less attention in very quiet environments. Canon has stuck with the 18 Megapixel resolution of previous APS-C DSLRs which will no doubt come as a disappointment to those chasing the numbers, but to be honest in my tests there’s not a huge difference between 18 and 24 Megapixels on an APS-C sensor, at least when both have an optical low pass filter managing moire. But as described earlier, the CMOS sensor in the EOS SL1 / 100D employs a broader array of phase-detect AF points, now covering 80% of the area to help assist focusing in Live View and during movies. The physical sensor size and pixel count is identical to earlier 18 Megapixel APS-C models from Canon: the EOS SL1 / 100D sensor measures 22.3×14.9mm and generates 3:2 aspect ratio images with a maximum resolution of 5184×3456 pixels. The EOS SL1 / 100D’s JPEGs can be recorded at four lower resolutions (8, 4.5, 2.5 and 0.3 Megapixels) and with the choice of Fine or Normal compression. RAW files are of course offered, at the maximum resolution and you can choose whether to record them individually or accompanied by a Large Fine JPEG. The multiple size and compression combinations of the 60D and 7D aren’t however available here. Best quality Large Fine JPEGS typically measure around 7MB each, while RAW files weigh-in around 24MB each. If you shoot in Live View, you can also choose from four aspect ratios: along with the native 3:2 shape, are 16:9, 4:3 and 1:1 options. Like its predecessors, the EOS SL1 / 100D employs 14-bit analogue to digital conversions, and this 14-bit tonal detail is also recorded in the RAW images. See my Results pages for examples comparing the camera’s JPEG and RAW output. Copyright data can also be added to images: author and copyright details can be entered in-camera, using the cross-keys or touch-screen. The sensitivity ranges from 100 to 12800 ISO, or up to 25600 ISO (H) if ISO Expansion is enabled in the Custom menus. Note: if Highlight Tone Priority is enabled, the sensitivity range is reduced to 200-12800 ISO. There’s also an Auto ISO setting, and the option to set the maximum sensitivity allowed between 400 and 6400 ISO. The PASM modes operate between 100 ISO and the maximum sensitivity set in this menu. The scene presets operate between 100 and 6400 ISO, apart from the Landscape setting which maxes out at 1600 ISO and the night mode which allows up to 12800 ISO. If you’re using Auto ISO with the flash, the sensitivity is fixed at 400 ISO, unless this results in an over-exposure in which case it’s reduced to 100 ISO. Bulb mode is also locked to 400 ISO if you’re using Auto ISO. The SL1 / 100D retains the Picture styles of its predecessor which apply sharpness, contrast, saturation and colour styles as collective presets with the choice of Auto, Standard, Portrait, Landscape, Neutral, Faithful and three User Defined options. A Monochrome option offers four filter and four toning effects. Also unchanged is the Auto Lighting Optimizer, which adjusts the brightness and contrast of images with dark areas, and Highlight Tone Priority, which (still hidden away in the custom menus) expands the dynamic range to retain detail in image highlights. The SL1 / 100D also inherits Peripheral illumination and Chromatic Aberration corrections in a Lens Aberration menu, which are optionally applied to JPEG images to reduce the effect of vignetting and coloured fringing respectively. Peripheral illumination correction is enabled by default although Chromatic Aberration correction is not as it can impact the maximum burst size during continuous shooting. I’d recommend leaving it enabled for general use, but turning it off when you know you’re shooting fast action bursts. To see how the quality of the measures-up in practice, take a look at my Canon SL1 100D quality and Canon SL1 100D noise results pages, browse my Canon SL1 100D sample images, or skip to the chase and head straight for my verdict.